Mizoram on Thursday recorded over 62 per cent voter turnout in the first phase of Lok Sabha polls. 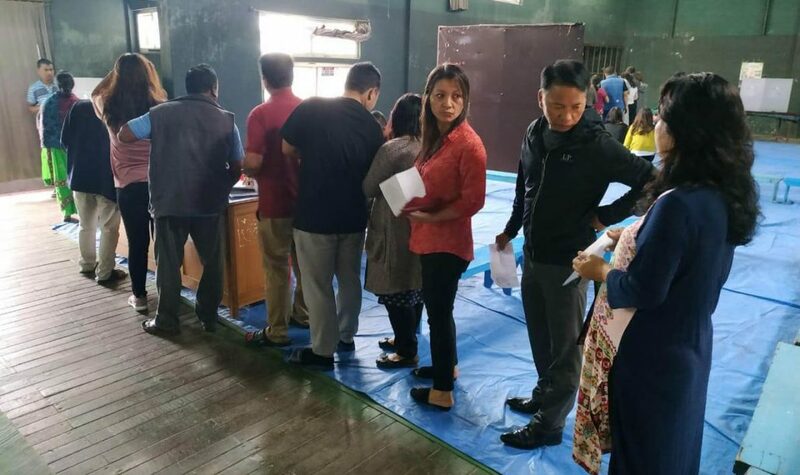 As per the latest reports, the in the state of Mizoram, above 62% of the voters, both young and old exercised their franchise to choose their representative in the Lok Sabha from the state. In Kanhmun where 15 polling stations were set up specifically for the Brus residing in Tripura transit camps, the final voting percentage was 33. 54%. While the state of Mizoram usually records a voter turnout of above 80% in the Assembly elections, the turnout in Lok Sabha elections was 63.36% in 2004, 50.93% in 2009 and 61.06% in 2014. Although the general election in Mizoram, where 6 candidates are contesting the lone Lok Sabha seat, was conducted under a peaceful atmosphere, a show cause notice was served to Lalnghinglova Hmar, the people’s candidate backed by the ZPM-Congress on Thursday. The Vanglaini is the biggest daily in Mizoram with its reach going to the farthest corners of the state and is subscribed by over 50,000 citizens of the state. In the show cause notice, the returning officer stated that, there exists a prima facie contravention of provisions of Section 123(4) of The Representation of People Act, 1951. Two show cause notices were given seperately to K Sapdanga, the editor of the daily newspaper and Lalnghinglova Pachuau, the joint editor. The case came to light and was taken as a serious misconduct as K Sapdanga is the general secretary of the opposition party, Zoram People’s Movement (ZPM) while the joint editor is the candidate of the ZPM-Congress combine. Chief Minister Zoramthanga launched a scathing attack on the newspaper saying such was done purposefully to mislead the people. He said it was a clear violation of the model code of conduct and came as a result of the newspaper being headed by the leader of the opponent party as well as the joint editor being a candidate. However, K Sapdanga in an interview with the media apologised saying the matter was a genuine error and that he seeks apology from all for causing discomfort due to the matter. A First Information Report was registered by the returning officer for further action to be taken by the Aizawl police.